Are you looking to start a new Makerspace but don’t know where to begin? Maybe you’re one of the progressive and adventurous few who have already produced a functional Makerspace program and are looking to enhance what you have already created by adding fresh ideas, new philosophies and proven direction. Mackin makes it possible for you to hire makerspace expert Laura Fleming to assist you with your makerspace transformational needs. Laura is a nationally acclaimed maker, author, teacher-librarian and has been instrumental around the country when it comes to implementing and shaping up makerspaces. Now, Laura is available to help you achieve your maker goals. She’ll educate and recommend all of the latest, most progressive ideas and programs available today to help you create the ideal makerspace. Supporting these services is just one of the many ways Mackin continues to provide educators with the highest level of information available. 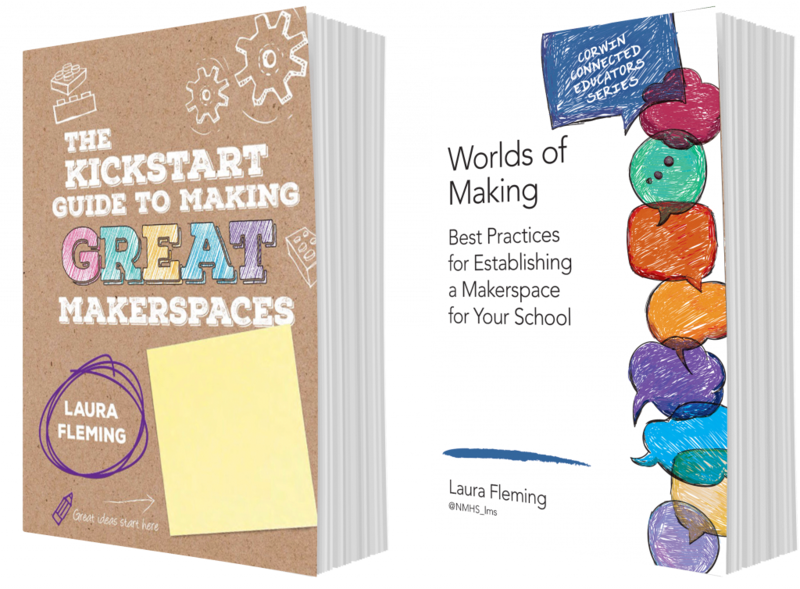 Laura Fleming is the author of the best-selling Worlds of Making: Best Practices for Establishing a Makerspace for Your School and her latest title, The Kickstart Guide to Making GREAT Makerspaces, are ready to help you make your Makerspace. One of the easiest ways to meet with Laura is through the convenience of Google Hangouts. Scheduling a meeting around your calendar is a snap! Want to get an evaluation of your current or intended makerspace? An on-site visit will afford you Laura’s expertise and allow her to capture the full flavor of what you intend to create. A gifted author of two books and a talented and experienced maker, Laura is available to address groups of any size to discuss and motivate makers of all levels. Her experience and guidance covers every nuance of how to construct functional and educational makerspaces. Evaluate your maker library and learn how to align the content you have to a number of makerspace ideas, concepts and curriculum. As an experienced teacher-librarian, Laura has the skills to create the ideal makerspace library. Learn how to plan, create and launch a unique, sustainable Makerspace for your school community. Laura has been an educator in the state of New Jersey for 20 years. She has been both a classroom teacher and media specialist in grades K-8 and currently as a Library Media Specialist for grades 9-12. She has played a prominent role in education as a writer and speaker and has served as an educational consultant on Next Generation teaching standards and tools. Laura co-hosts the Movers & Makers Podcast and is the author of the best-selling, Worlds of Learning: Best Practices for Establishing a Makerspace for Your School (Corwin, 2015). Laura is also the creator of a digital badge-based professional development platform in which educators all over the world earn badges in acknowledgment of their professional learning. Her library Makerspace has garnered national attention and has served as an inspiration for schools across the country. 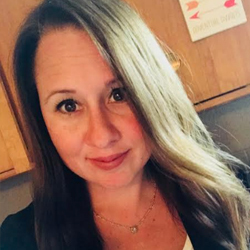 She is also a recipient of the National School Boards ‘20 to Watch’ in Educational Technology Leadership for 2014 and was recently nominated as a White House Champion of Change for Making. Laura is also the creator of the ‘Worlds of Making’ Digital Academy, which provides makerspace professional development for teachers. Her goal is to create learning experiences that empower and equip students with the necessary skills to effectively produce and consume content across multiple media platforms. She is also driven to enable educators and cohorts in applying these innovative methods and cutting-edge technology in their fields of expertise. Laura is an educational consultant, thought leader and speaker on education, librarianship, and technology.